Over the easter I got the amazing opportunity to travel to what has emerged to be the leading innovation hub in the whole world. Together with 11 other eager students interested in entrepreneurship, organized by the Uppsala organization Entrepreneurship Academy, I got to see, breathe and experience what the San Francisco business world is all about by visiting some of the most iconic and representative companies and places in Silicon Valley, and primarily the tech industry. Just stepping out of the airport shuttle transports you to a different mindset. People and technology form a seamless connection that permeates the whole infrastructure of the city. There are probably more Ubers and Lyfts than private vehicles. And scooters! And bikes! Electric vehicles scattered around the city ready to be used with a smartphone app. Everything is an app for that matter, and everyone is taking part in the tech craze in some way or another. There are part time bartenders part time app developers part time entrepreneurs eagerly ending every small talk conversation with handing out their business card. “It’s the next big thing”, “Artificial intelligence”, “Blockchain”, “Startup”, “Incubator”. The lingo is seeping out of every crack in the walls. Luckily we had the perfect schedule to make sense of it all. We started off at a company named Meltwater that definitely is the coolest kid in its class. The office is so big that people ride scooters (again!) to get through, they have a ridiculous kitchen overstacked with snacks (“take as much as you want”), and there was not a living soul over 35 in the office. What’s more: we got a free book out of it! Meltwater started in Oslo with a starting capital of 15 000 dollar. They provide a service called media surveillance for companies to track public opinion about companies and other interesting values across media platforms and make about 300 million dollar in annual revenue. Still they call themselves a startup which should tell you more about San Francisco than anything else. They are now breaking new grounds by taking use of AI. Very interesting! Moreover it was interesting to hear about the recruitment process and profile seeking of the company. Almost everyone starts in sales, so some sales skills are a vital asset to succeed, even though there was not a requirement to have a business educational background. Then, if you want to climb the ranks (which one can do quite quickly, since they’re in an expansion) you might have to be willing to relocate for a few years. That is less of a hustle when you end up in a place like Sydney or Atlanta, though! 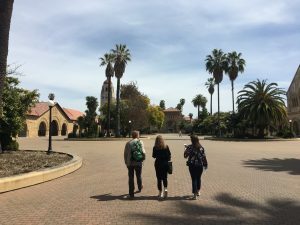 The next day we went to the place where the very brains of the technological future are wired, that is to say Stanford. 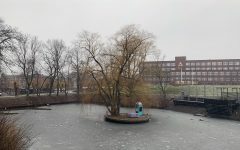 The area was very quiet – which is not so surprising on easter weekend – but the rumour goes that student life on campus is pretty much nonexistent. Maybe everyone is busy creating the new Facebook or a new world computer dictator, but in the end one can ask the question: is it worth it? It really makes you appreciate what we have here at LundaEkonomerna. Then again, maybe we would lead the world if we would stop partying until 4 in the morning on weekdays. 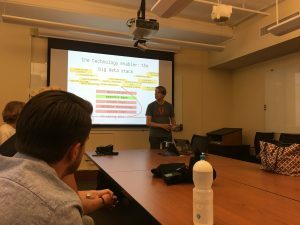 In any case, Stanford guest lecturer and entrepreneur Jussi Karlgren gave us a lecture about his own co-founded company Gavagai. The specifics of the application went over my head but in essence the company is developing a language interpreter that can understand and analyze complex and unstructured data. It is not about seeing the needle in the haystack but the pattern. The service can be used in many areas, not the least marketing analytics. During the lecture, Jussi also said something that stuck with me and should stick with anyone interested in entrepreneurship: the industry is devoid of real entrepreneurs, and overflowing with idea makers and engineers too attached to their own ideas to monetize them in an effective way. There are loads of opportunities for people solely focusing on the business aspect to make money out of someone else’s great idea, as long as they do not attach themselves emotionally to it. Jussi himself said that he was an engineer but a bad entrepreneur, and the only reason he became one in the first place was that there was not anyone ready to take on his idea themselves. 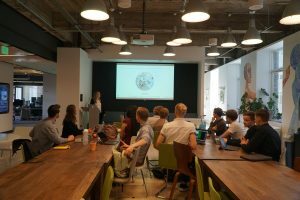 As we moved on through the week we also moved further down through Silicon Valley where we could meet Ida Kleinau Andersson at Nordic Innovation House. She has been working as an intern at during the spring and is herself a newly examined engineer from Lund! 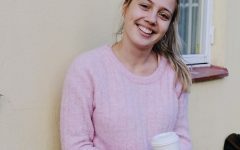 Three summers she has worked with her own food truck in Lomma and learnt hands on what entrepreneurship means. The truck, since she could not find a parking spot for it, had to be stored at the backyard in Delphi. About her time at Nordic Innovation House Ida had only great things to say. She is outside of her comfort zone about 70% of the time there, which is a positive thing! Nordic Innovation House provides contacts with people in Sweden willing to expand to, get funding or have a base in San Francisco. 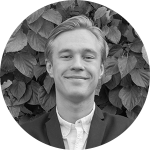 They provide a San Francisco address for Swedish members to use for meetings which has proven to be very valuable, and put members in contact with the people they need. Ida was surprised of how interested people often were of her when she got to talk to them. A small thing like a 30 minute meeting can ignite a powerful collaboration. Of course one has to make time for leisure when traveling to such a glittering place like San Francisco and California. Not to get in too much detail I can say that the surrounding environment of Golden Gate, as well as highway one further down Silicon Valley are sights you absolutely cannot miss out on. Marvelous. While heading south, you might want to stop to visit some classic tourist attractions as well, like Google, Tesla and the by now legendary garage where Steve Jobs created Apple. 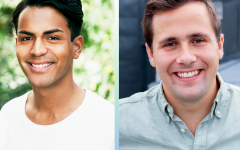 Justforall is a food-tech company that is pushing the market towards an animal free food industry. We got transported through halls of people at desks, mixed with laboratory equipment too exclusive for us to be allowed to photograph it. 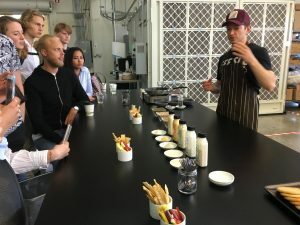 It was hard to understand the explanation of the scientific process that they go through to create a new product, but it all was concretized when we got to try their ready-made stuff out! Delicious sauces of all kinds and a lentil scrambled egg eerily close to the real thing made me keep an eye out for this kind of business in the future. However it remains to be seen if lab grown meat can be produced at sufficient quality, of sufficient volume at a sufficient price. Before we finished our trip we went to meet a couple of real highrollers on the scene, businesses that are household names by now. Salesforce and Spotify are two of the most attractive companies to work for by employees, and one could guess why. 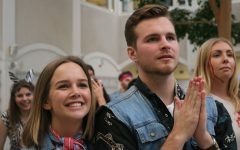 Salesforce has been voted the best employer in the world. 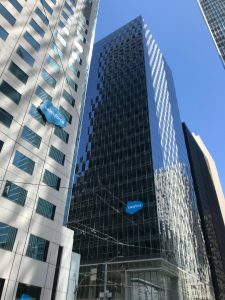 The have built an own little district of highrise buildings in San Francisco and the highest – the Salesforce Tower still under construction – is the second tallest building west of the Mississippi river. Upon entering the lobby you are greeted by an enormous screen on the wall over the desks, probably fit for an IMAX theater. Large hives of people that did not know each other walked in and out of the elevators. Salesforce almost seemed like its own little society. The company makes easy-to-use solutions for a lot of different areas, and its software is familiar to professionals all over the world, especially those involved with marketing, sales or business analytics. 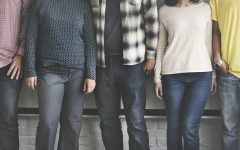 What makes the company so good to work at has a lot to do with the great benefits you get as an employee, as well as the company’s equal treatment policy. Salesforce has risen quickly over the past years, and our contact wanted to explain what was happening as the fourth revolution; the (artificial) intelligence revolution. Spotify was cool on a more modest scale. 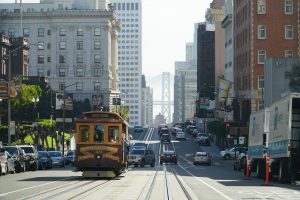 The San Francisco headquarters is located in the city’s rough Tenderloin district. The office itself has brick covered walls, a ping pong and foosball table as well as a relaxed atmosphere. We had the honour of visiting the company on the day it entered the stock market, and there were happy faces all around. 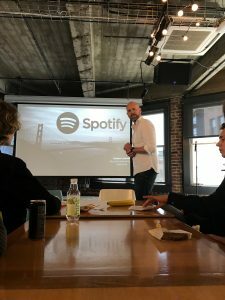 We learned about the immense effort that had made by the company’s founders to get the project running, traveling all over the world to sign deals with record labels. We also learned about the big significance the partnership with other companies has had, Facebook and Starbucks being two important examples. There is only so much you have time to do in a single week, so before we knew it we were heading on the plane back home. However the unique insight into such a prosperous industry was invaluable and I strongly encourage anyone that has the chance to do the same. 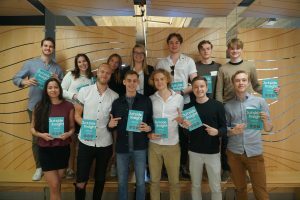 Thank you so much to Entrepreneurs Academy in Uppsala for this amazing experience! In November 40 selected students in LundaEkonomerna will have a one-week journey through Europe to meet world-class companies. Do not miss the chance to join Lund European Business Tour on that event!